“The World expects of Christians that they will raise their voices so loudly and clearly and so formulate their protests that not even the simplist man can have the slightest doubt what they are saying. Further, the world expects of Christians that they will eschew all fuzzy abstractions and plant themselves squarely in front of the bloody face of history. It is about time that someone starting beating the drum in honor of Earl and Field Marshall Archibald Percival Wavell, a British General in World War II. I was excited a month or so ago to see that the University of Oklahoma Press was publishing a book on General Archibald Wavell. For some reason, when I told others about this new book on General Wavell, they did not seem to share my excitement. General Wavell has not been treated justly or adequately in history. That is one of the contentions of the book, titled Wavell in the Middle East, 1939-1941: A Study in Generalship by Harold E. Raugh. I must admit that I, too, am guilty of the neglect of this World War II general. I first learned of Wavell when I was a student in high school in the early 1970s. I was reading quite a bit about World War II, after having suddenly become aware that history was not a miserable class you took in school, but rather a whole world of fascination and wonder. Much of what I read concerned the Desert Campaigns or North African Theater of the war. Wavell was an early figure the desert war and in my reading about it. In a sense, he played an opening role and then dashed off the stage to make room for the important figures. I had a sense that he had done some quite remarkable things as a general. But World War II history studies were dominated by such figures as the German General Rommel, the British General Bernard Montgomery, and the American General George Patton. British studies on the war are dominated by the role of Winston Churchill, and, as it happened, Churchill and Wavell did not work together well. It was in the early 1970s when the movie Patton came out. Movies create and enhance historical interest, but don’t do much for the actual facts and historical figures. Wavell faded from the story of World War II in my mind. As it turned out, that is generally what happened to him overall. This book sets out to be a corrective. There is a part of World War II that can basically be described the Allied road to victory. From El Alamein to Stalingrad to the American landings in North Africa, the war turned from one of Axis triumphs to Allied victories. Especially after 1942, the story drastically turns to one of increasing Allied successes and decreasing Axis control of events. Simply (which corresponds with simplistically), World War II went like this: From the early to mid-1930s, no actual world war was occuring, but Germany, Italy, and Japan (and Soviet Russia, to be honest) were increasing territories and venturing into military conquests. From 1939 up through early 1942, the war was an almost unbroken string of Axis (German, Italian, and Japanese) triumphs. The attack on Pearl Harbor and the subsequent land grab by the Japanese that captured the Philippines, Singapore, and other areas all signaled the virtual end of Axis successes. Indeed, the German offensive that reached within sight of the spires of Moscow’s older sites was beginning to turn into a major German defeat. While the war wasn’t won by the Allies from 1939 to 1942, it wasn’t lost either. And “Allies” during much of that time basically meant the various contingents of the British Empire. They (British, Canadian, Australian, New Zealand, Indian, New Zealand, and other colonial posts) defended the skies over Britain against the waves of Luftwaffe bombers, the seas of the world against German u-boats, and Africa and the Middle East. General Wavell, on the right, and General O’Connor. The North African desert was not only hot, it was often cold. Wavell, who had prior experience in the Middle East and North Africa during World War I, cobbled together an army with few resources. Logistics, that is, supplies, were a nightmare. The weaponry was obsolete. World War II tanks and weapons at the beginning of the war were far from the images we have of Sherman or Tiger tanks at the end of the war. The area that Wavell was in charge of was vast–some 2,000 by 1,700 miles. The prime British effort was directed either toward helping to defend France (which resulted in a major loss of equipment) or toward defending the British Isles. Picture hearty English chaps, accompanied by Scotsmen, Aussies, Indians, New Zealanders, South Africans, and Canadians. They are stationed in Africa, probably Egypt. A jaunty bunch they were, donning their khaki shorts and maintaining tea time. Those fellows saved Western Civilization. They recaptured Ethiopia from the Italians and took some other Italian holdings. Then they completely trounced the Italian army in Libya. If Italy had been able to maintain and increase its African holdings, if the Axis powers could have gotten hold of the Suez Canal, if the French and British protectorates in the Middle East had been able to snuggle up close with the Nazi, the Axis would have won World War II. Instead, Britain’s necessary diversion of scant resources to the Mediterranean and Middle East resulted in Hitler’s loss of a viable ally in Italy. And it made it necessary for him to divert his own abundant resources to that campaign. North Africa became a slow drain on German successes. The Middle East was moved off the board as a likely gain for the Axis powers. The all consuming Russian campaign was denied some vital German men and material. Even with France out of the picture, with Britain too overtaxed to even think of invading, Germany had gotten herself in yet another two front war. Without denying the praises due to General Montgomery’s later victory at El Alamein or the American and British conquest of North Africa, or the stalwarts who defended Malta island against the Germans and Italians, the seeds of victory were sown by Achibald Wavell. During his time in command, he was engaged in some eight different major campaigns, in which at least three were going on at the same time. Again that involved a vast area, with five different campaigns being waged at one time. Not all of Wavell’s actions were victorious. The efforts to save Greece from the Nazis resulted in a defeat and a less successful Dunkirk-like evacuation. But great leaders are risk-takers, and some risks are failures. Raugh says that Wavell’s accomplishments rank him as a general who was “the most farsighted and able of all the British Army commanders of the Second World War.” That is no easy task for a historian to show. Wavell in the Middle East, 1939-1941 is sub-titled “A Study in Generalship.” This is a scholarly examination of Wavell’s generalship. There is much more of interest in the man than just those 3 years. Wavell was a true scholar and literary man. He edited and contributed to a collection of poetry titled Other Men’s Flowers: An Anthology of Poetry. He also wrote on historical and military matters. And he was a dedicated Christian. 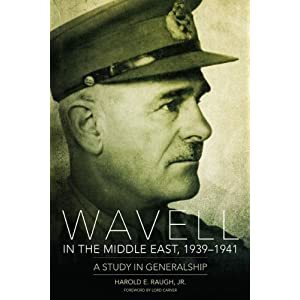 But the emphasis of Dr. Raugh’s book is on those key years and events where Wavell demonstrated a flair and genius for true leadership. General Wavell made the cover of Time magazine. A good read by a great historian. I recently finished reading The Greater Journey: Americans in Paris by David McCullough. This book came out in 2011, and from the time I first saw it, I wanted to have and read the book. But understanding this: The Greater Journey focuses on France in the 1800s, the experiences of medical students, the lives of artists (mainly painters and sculptors), political figures I don’t care for, such as Charles Sumner, and French political upheavals in the 1800s. These are all very low on the scale of my interests. Actually, several of the topics of the book are not at all of interest or “use” to me. There was only one key figure in the book whose experiences were of compelling interest, and that was the popular American novelist James Fenimore Cooper. He worked on some of his Leatherstocking Tales while residing in Paris, far from the settings of Natty Bumpo and Chingachgook. The book is over 450 pages long. It would have been easy enough to have looked Cooper up in the index and read the selections about him. So, why did I take on this reading task? There is another key figure in this book. 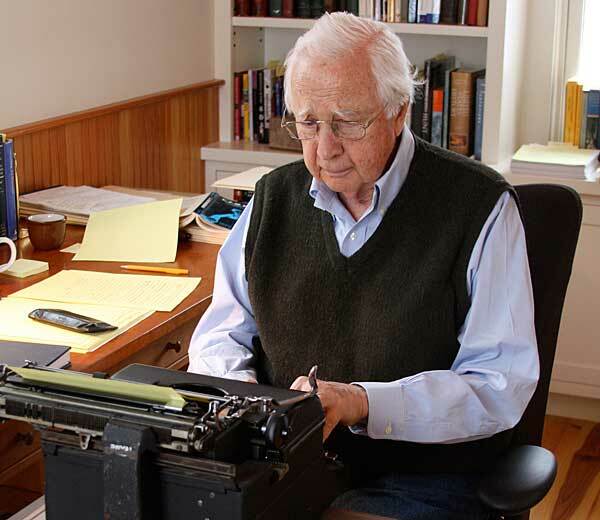 It is the author David McCullough. He may very well be the best living narrative historian in our country. I think he is now in his 80s. The vast research and wonderful narrative of this book is an accomplishment at any age. While reading along, I often told myself that only David McCullough could write an account of such a topic as Americans in Paris and write for over 400 pages and keep me engaged. That is the mark of a good historian, a good story teller. Dr. Tom Wagy always emphasizes in regard to history that nothing is simple. That truth then leads to another bit about history: There is always more to the story than you might think. Add to that this point: You don’t like what you don’t know. Samuel F. B. Morse’s most ambitious painting was of a part of the Louvre and included small paintings of the works found there. Young aspiring artists stood for hours in the Louvre. They were not just looking; they were copying. I learned quite a bit about American artists in this book. One of them, Samuel F. B. Morse, the son of a Calvinist preacher, has become best known for the Morse Code and the telegraph. But his prior background was that of a artist. For aspiring medical students, Paris was the place to go. The best hospitals, best surgeons, and best lecturers on medicine were there. And there were cadavers, some of which were fished out of the Seine River. The medical world was changing because of the literal hands-on approach of medical students. David McCullough shows how the American life and culture was changed because of the pilgrimages of all kinds of people to Paris. I actually wish that he had written a bit more. I would love to have read yet another account of the writers of the 20th century who flocked to Paris. The best source for that story is Ernest Hemingway’s first hand account, titled In Our Time. Three great books on American history by David McCullough. McCullough’s prior books include his biography John Adams and 1776. I would regard those two books as essential reading for understanding early American history. His biography of Harry S Truman, titled Truman, won him a Pulitzer Prize. I did not buy it when it came out, for I was none too favorable toward the subject. Now, I regard Truman as my favorite President with whom I disagree on policy. I have found McCullough’s book helpful. The nice thing is that I have two other and older McCullough works that I have not read. One is Mornings on Horseback, which is a biography of Theodore Roosevelt during his younger years. I know the story, and since McCullough is crafty with any material, I know the promise of that book. I also have a book he wrote on the Panama Canal that is called The Path Between the Seas. It is a lengthy book, and I am not sure I want to read that much on digging a big ditch in Panama. But wait, David McCullough wrote it. I reckon I am interested. The esteemed David McCullough and his high tech machinery. He is what I want to be like in my ever-approaching elderly years. I have officially complained to Crossway Books. They are publishing too many good books. I cannot keep up all the titles, nor can I get all the books read. And more keep coming. Crossway is located in Wheaton, Illinois, just a short distance from where my son Nick attends Wheaton College. Crossway publishes quite a few books, ranging from lots of practical Christian books to serious theological studies to commentaries to the ESV Bible. I have read quite a few Crossway publications over the last 15 years or so, but have really been gleaning through their books over the past two years. I have often finished one of their selections (like Think by John Piper or The Hole in Our Holiness by Kevin DeYoung) and then almost immediately reread the book. I want to mention three Crossway titles that I have read in recent months. Part of a series on church life called 9Marks. What is a Healthy Church Member by Thabiti M. Anyabwile is a nice, compact study of some basic things all church members should strive after. This is not deep theology or profound insights into sanctification. It is plain, direct Bible teaching. It exhorts church members to be good listeners (to expository sermons), to be theologians (yes, all of us), to be evangelists, committed members, disciplined members, humble members, and prayer warriors. This is a good devotional read. It would make a good study for a Sunday school class or group study. An examination of the qualifications for ministry. While the first book needs to be read and understood by all church members, this one will have a more limited appeal. Am I Called? The Summons to Pastoral Ministry by Dave Harvey is a study of the qualifications for being a pastor. This is a check-list that every candidate for the eldership or pastorate (the discussion of the difference, if any exists, is pending) needs to consider. I think this might be the first book to hand someone who feels called, or who is considering the ministry. I have only one major complaint with this book. Several times, the author stated that the book is for the man considering the office of pastor. Some of us have long been in ministry. I was ordained to the office of elder (teaching elder) back in 1995. Sometimes, a person can wonder if he misunderstood the call. I found this book a really helpful re-examination of ministry. In other words, with seventeen years of labor, I still need this kind of review of the qualifications. One always hopes to be growing from minimal attainment of the 1 Timothy and Titus 1 qualifications to a greater and fuller attainment. A successful pastor exhorts fellow pastors and believers to strive for healthier churches. Great systematic theologies and sound commentaries and whole shelves of Christian books are of little avail if churches are not healthy. Church life is not a compartment of Christian living. The church should not be “the cross we have to bear.” The Church, big C or little c, meaning, the whole body of Christians or yours and my congregations, need to be healthy. We are the bride of Christ, the salt and light of the world, the temple of the Living God. 9 Marks of a Healthy Church by Mark Dever started a movement. The movement is called 9Marks. A number of books have resulted. Mark Dever is the senior pastor of Capitol Hill Baptist Church in Washington, DC. God bless him. His task is a large one. This book begins with a call for Expository Preaching. That means, preaching through the Bible. That means preaching through whole books, whole chapters, and whole passages. The chapter itself is a topical message, and Dr. Dever is not opposed to topical sermons. But the gist, the pattern, the norm should be expository. Other chapters deal with topics such as church discipline (still a can of worms or explosives), church leadership, and evangelism. Yes, I am sure that I could ferret out a few disagreements with this book and the whole 9Marks movement. Most of those guys are Calvinistic Baptists and I am a Calvinistic Presbyterian. But I have no quibbles to air. I need the things that these guys are reminding me of and exhorting me to do. Read all three of the books listed above and could truly benefit from reading them all again. The more recent, more gritty movie version of True Grit, staring Jeff Bridges as Rooster Cogburn. The legendary John Wayne version of True Grit. First, to settle the on-going debate. By the way, it is recommended that relationships be ended, marriages annuled, neighborhoods disbanded, and churches split if all sides are not agreed on the matter being debated. TRUE GRIT: The 1969 movie and the 2010 movie. Which movie version was better? The old version, starring, as in dominated by, John Wayne, who could fill any screen, and play any role as long as the character had the same personality as every other John Wayne character? Or the more recent, more earthly, graphic, violent, frontierish version where Jeff Bridges grumbles, mumbles, curses, and stumbles his way to frontier knighthood? Both movies are defining examples of their genres with great casts, directing, camera work, and action. Both were reflections of the culural needs and expectations of their times. But above all, both movies succeeded because of this feature: a great story. The older 1969 version was a capstone of the career of the swaggering, tough talking, “tip the hat to the ladies” and be ready to kill anyone who looked at him wrong man-on-horseback, icon of American culture and cinematography, and great patriot John Wayne himself. John Wayne could have never played Hamlet, but he could have played Shakespeare, ordering Hamlet, Macbeth, and Henry V around, drinking with Falstaff, cuffing a few rogues, quarreling with Katarina the Shrew, and bringing law and order to the Globe Theatre. The JW version of True Grit was among a few last great screen westerns. In 1969, when it appeared, America needed every ounce of John Wayne’s personification of True Grit it could find. Along with Wayne’s award winning performance, you had Glen Campbell’s defining role; that is, defining him as an incredible singer and guitar player who needed to avoid the silver screen. And you had an obnoxious mouthy girl. Robert Duvall played the rotten scoundrel who got his just desserts. 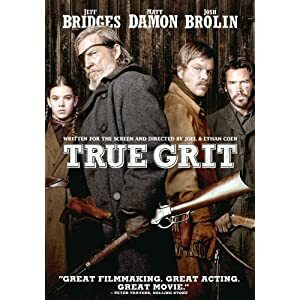 The 2010 True Grit movie was produced by the Coen Brothers, who often get things right. The world, as we have sadly had to admit, is a little dirtier, rougher, more edgy, and less scripted than the old western would let us believe. But the world is filled with both special grace (being saved by Jesus) and common grace (people doing what is right). The defining character of the 2010 movie was Mattie, played by Hallie Steinfield. She was in the position of a Medieval maiden in distress. But she was the spittin’ image of Genevan Calvinism, whetted against the flint of Scots-Irish Presbyterianism, and then pushed along the edges of the Manifest Destiny of American frontier. The hymn that provided the background music to the 2010 movie reinforced the theme. Mattie needed a knight in shining armor to bring her father’s murderer to justice. She got Rooster Cogburn, played by Jeff Bridges, to take on that task. He was aided by a Texas Ranger named LeBeouf, played by Matt Damon. Let us say, the chivalry of these two knights errant was lacking at times, but they did what needed to be done. In this case, the villian, criminal, murderer was played by Josh Brolin. The latter day movie tipped its hat to John Wayne in the scene where Rooster Cogburn rides “hell bent for leather,” as the saying goes, toward the outlaws with two Winchesters blazing and with the reins of the horse’s bridle in his mouth. All in all, I favor the 2010 version of the movie. I think the theme of Godly justice and Christian character trumps John Wayne’s secularized western ethic. Along with Chariots of Fire, Tender Mercies, Amazing Grace, and Signs, True Grit earns a position in the Calvinist Movie Hall of Fame. But there is a version of the story that trumps both movies: The novel True Grit by Arkansas writer Charles Portis. The basic for both movies and a great novel. Read this for proof of the 2010 movie’s superiority in telling the real tale. Confession Time: I saw this novel off and on for years at book stores, new and used. I never gave it a thought. “It is just a western,” I would say to myself, and I had no idea of who the author was. First of all, slapping down a novel because it is “just a western” is an effete, snobby, stuffy, ill-informed assertion worthy only of east coast types who personify east coast types. What was I thinking? James Fenimore Cooper, Mark Twain, and William Faulkner were writing “westerns.” So was Virgil (in the Aeneid). So was Tolkien who modeled his books after Cooper’s Leatherstocking Tales. And Louis L’Amour was no slouch with the pen. Secondly, I did not realize or think about who Charles Portis is. I went to college in Arkansas and have lived, worked, and taught in Arkansas and I didn’t even recognize the man who is probably the greatest living novelist in Arkansas today. He has written five novels, all highly praised, and I…I…I have only read one of them. And I only own one of them. This is abject intellectual poverty, literary pretension, and just plain dumb. A collection of stories and essays by the author of True Grit and other fine novels: the Arkansas writer Charles Portis. This nice hardback book contains a host of stories, newspaper articles, and magazine articles by Portis. At one time, Portis was a successful newspaperman in New York. But he came back to Arkansas where he still lives quietly and obscurely. In his writings, he displays an ear for the way folks talk and a sense of what interests people. I have only read a few portions of this book, but I am already convinced that this year will have to be one where Charles Portis’ writings became part of a nutritional reading diet for me. 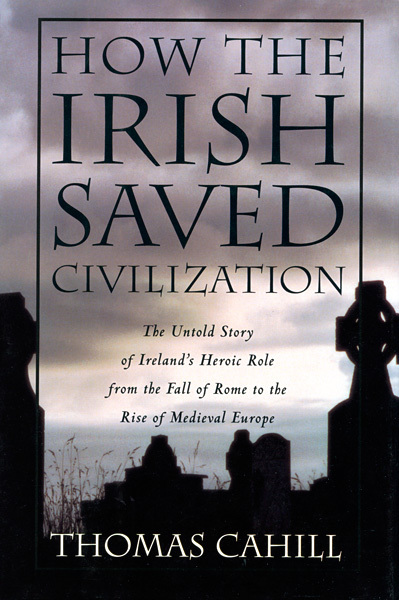 This week in Humanities class, I will be continuing to lecture on and discuss the book How the Irish Saved Civilization by Thomas Cahill. I first read the book back in 1996 and read and taught through it about 3 or 4 times since then. On some occasions, I don’t think I accomplished the goal of what the book teaches. This book is quirky, inconsistent, and unclear at points. Some of the contents are questionable; some of the points being made are indiscernible, and others are objectionable; and at times, the book is puzzling. But in the midst of Cahill’s style, digressions, bad theology, and wrongful applications are points of brilliance. The basic theme, the main teaching of the book, is outstanding. For a brief period in history, right after the Fall of the Roman Empire, the lights of civilization were either going out or getting dim. When things are going bad, when the culture is plummeting to the bottom, when the political order is untangling, then watch: God is going to work. And be ready to be surprised as to where and how He works. In this case, as described in this book, God took an ex-slave, an Englishman, actually Roman and English, and put him right back into the country of his captivity. The man was named Patricius (better known to us as Patrick) and the country was Ireland. Patrick took the Gospel to the very heathenism, brutal, uncouth Irish and they were changed. On most smaller maps, the small island of Iona, near the Scottish coast, does not even appear. But the course of history was changed there. In time, a spiritual descendant of Patrick, named Columbanus, established a monastery on the small, obscure island of Iona, which is located between northern Ireland and Scotland. Here, Irish monks began copying the great books, the classics of the Greeks and Romans, of the church fathers, and of the poets and writers of past ages. And they began schooling all who flocked to their monastery. From this tiny island, the Irish monks crossed the waters to Scotland, and they began Christianizing their distant kinsmen, fellow Scoti. From Scotland, the mission-minded monks pushed down into England, which going through a dark period where the previous Christian influences were fading. From England, they spread through the whole continent of Europe. Christianity was revived. Books were copied and read. The poor and needy were helped. And the Gospel did what it always does: It transformed civilization and individuals. What happens when Christians go forth as salt and light? Two quotes from the book amply illustrate the before and after effects of Christianity. The Middle Ages, which were not at all dark ages, were times of bold pioneering and conquest. Whole tribes and races and cultures were smacked right across the kissers with cutting edge Christianity. And the world was changed. What I love about my Humanities program is that the old books talk about today’s news events. The world of the Irish monks is the world of we moderns. Just as they had the island of Iona and a few small monasteries as microcosms of Christianity, so we have just some outposts here and there. It will be saints who save civilization. It will be believers who pray “Thy will be done on earth as it is in heaven,” and who then labor to make little portions of earth like heaven. Martyn Lloyd-Jones’ Studies in the Sermon on the Mount: First published in 1959, my copy came out in 1974, and still, praise God, in print. I steal. Not cars, guns, money, or even books (although the latter does tempt me). But I steal from other men’s labors. In fact, it is generally Christians I steal from: Fellow pastors. Right now, I am embarking on a long, planned theft from one such preacher named Martyn Lloyd-Jones. Well, he is dead and gone, so he doesn’t need what I am taking. But along with stealing from Lloyd-Jones, I am plotting and planning on stealing from some other men who are still living. No lawyer could help me in a court of law, save arguing insanity. But even that would be overturned, for my stealing is an evidence of sanity. I don’t rustle cattle and change the brands. Instead, I rustle intellectual and spiritual cattle and brag about where I got them, proudly pointing to the brands of their original owners. Reading good authors, in this case, Bible commentators, theologians, and pastors, is the life-blood of pastoral work. It is fellowship; it is iron sharpening iron; it is one of the essential elements of growing in grace. It is the communion of saints. It is also humility and love of learning and joy in finding truth. It is sitting under the Word preached. It is enjoying the testimony of the great cloud of witnesses (Hebrews 12:1). It is running the race, fighting the fight, keeping the faith. It is salt and light. It is discipleship, mentoring, and leading by being led. Learning from other Christians fits many of the descriptions, both metaphorical and literal, of the Christian life. So, I am reading, stealing from, plundering, borrowing from, and growing through reading Dr. Martyn Lloyd-Jones. In this case, all this is happening by my reading again from his classic book, Studies in the Sermon on the Mount. I am embarking on a sermon series on the Sermon on the Mount, so I have pulled Lloyd-Jones’ book from the study, placed it on the table where I work, and will be reuniting with an old and beloved companion. I bought my copy of this book in 1976. It costs $6.10 from Puritan Reformed Book Service; the regular price was $8.95. That was for a hardback copy. (What a lesson right there in inflation.) I don’t know that I ever read all of the book, but there are portions that I read repeatedly. And I did lots of careful underlining, highlighting, and commenting in the margins. The first two sermons I ever preached (in May and July of 1978), I preached from the Beatitudes and got much of my information from Lloyd-Jones’ sermons. The sermon I worked on today includes a couple of quotes from Lloyd-Jones. And I read the first two of his sermons in preparation for my own work. And lest I simply become an echo of Lloyd-Jones, I have been reading from some other commentators. 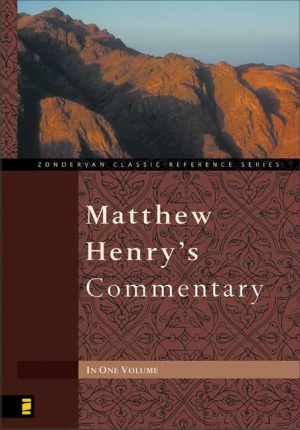 Daniel Doriani’s sermons on Matthew have been helpful, and the legendary Matthew Henry is, well, legendary. Doriani’s work consists of two volumes of sermons on Matthew’s Gospel. He also has a separate book on the Sermon on the Mount which I hope to get. First published between 1708 and 1710, this work has been reprinted many times and is a goldmine of encouraging Christian teaching. What about the Holy Spirit? Yes, if I were on a desert island with only a Bible, I could study and teach the Bible. (Even then, I would be falling back on the gifts of teachers and preacher who had prepared me for everything except for escaping desert islands.) But I am not on a desert island. I am in the company of saints: it is called my library. I am gleaning from godly men of old and passing the insights on to those who hear me. To tell the truth, I try to read as much as I can on a passage. Being employed as a teacher during the week, I am limited on time. I try to be taught, fed, and directed. Then I prayerfully start composing my own message and thoughts. Frequently, I reach for one of the books and read a passage over again and sometimes copy it into the message. And to think, I actually get paid for doing this fun stuff. So the practice of taking from others will go on. Spurgeon’s Commentary on Matthew is not simply on my wish list. It is on my “Cannot Possibly Live Without” list.